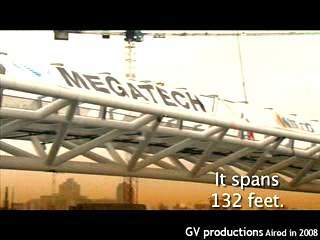 Megatech’s custom fabrication services are as varied as the solutions to our customer's problems have demanded. 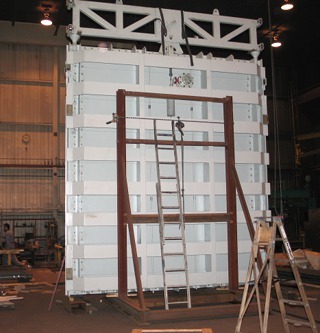 From equipment designed and built to solve a particular problem, to fabrication from customer-supplied drawings, our engineering and metal fabrication capabilities are available to meet your specific needs. 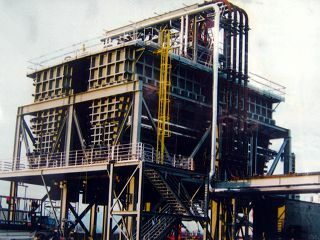 When it comes to more demanding projects, we have a demonstrated ability to expand and even double our capacity, to set up lines for mass production, and to track and manage every part efficiently. 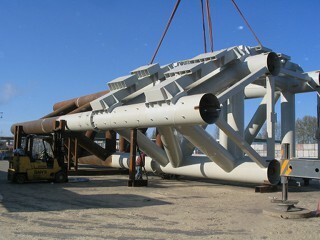 A spline remover frame (for the forest industry) being assembled. 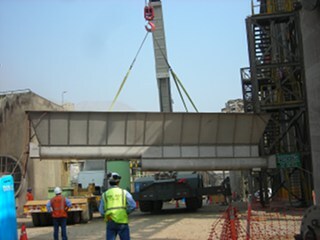 Ferry loading ramps, this lower ramp seen at start of assembly. 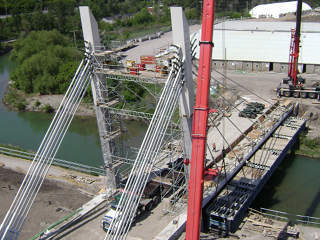 A Pedestrian Bridge at SE False Creek, as seen in this television feature demonstrating how it was transported to the site. 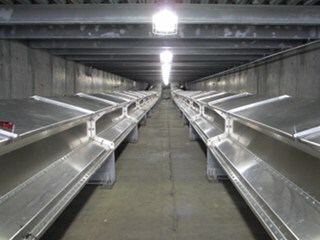 Kilometers of Aluminum Air Supported Belt Conveyors. 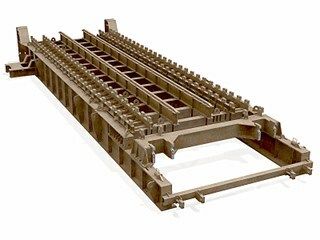 An apron feeder girder nearly 4.8m (16ʹ) wide, made primarily with cold-temperature steel, as seen in this CAD rendering. 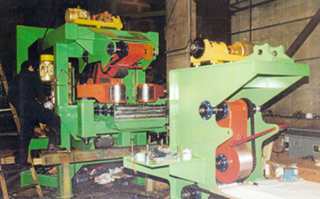 We also perform routine maintenance and repair on all types of feeder pans. 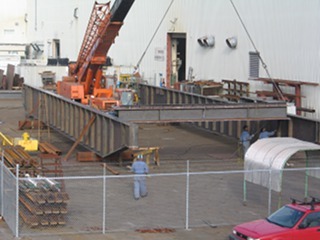 See also: photos of the Olympic Village Pedestrian Bridge, a ring beam used in construction, marine fabrication, even ferry terminal ramps.